Every summer, families celebrate graduations and prepare to send students off to college. Every year, some freshmen drop out of college. No one likes to think about it. We prepare for college life, buying bedding and fans, computers and electronics, cleaning supplies and posters. But what worries us most is the thing we aren’t sure how to avoid. Will my teen drop out? Slate.com reported that only 55% of college freshmen graduate within six years. College saddles many people with enormous debt, an even worse burden for the poor student who does not earn a degree. Dropping out can be devastating emotionally, too. If you have a student who struggles with attention and organization, with dyslexia, autism spectrum disorders, mental health challenges, or who just learns differently, how can you help them prepare? Earlier this month I wrote two posts on getting accommodations in college (here’s Part I and Part II). Today, I’ll review one of the two best books I’ve found on helping our students succeed in college. 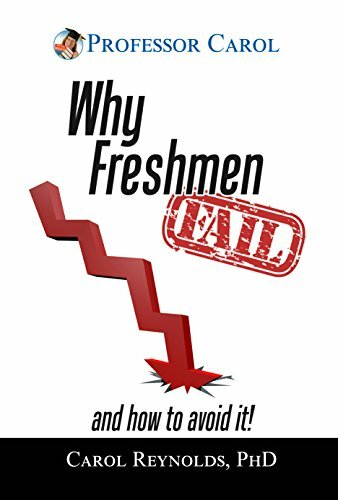 Carol Reynolds, Ph.D, has written a new book: Why Freshmen Fail and How to Avoid it! Dr. Reynolds was a tenured professor of music history at Southern Methodist University. Before retiring, she saw many students drop out of college, and helped many avoid failing. She has written a helpful, frank, and upbeat book from her experiences. She writes from the heart. When she was a freshman, she struggled herself. Yet, she was able to learn and ultimately succeed. Over the years, Carol has helped and inspired hundreds of students. Paul Bass has illustrated the Why Freshmen Fail with cartoons that match the realistic yet hopeful tone of the text. The first two-thirds of Why Freshmen Fail introduce the topic and set out eight reasons that freshmen fail. Written in short, clear chapters with practical examples, Carol’s book includes dozens of questions for parents to consider. She encourages parents to discuss these questions with their teens. That’s part of why I recommend this book for parents of students age 14-18, whether they are considering college or not, and whether they homeschool or not. Many of these questions and concerns are topics families should discuss early and often. The first is why the student wants to go to college. Do they really want to do the work necessary to earn a degree? Or do they just long for independence? Carol is not glib about this, nor is she belittling teens. She knows that at any age we all may have trouble identifying our own motives on major decision: “Why are you really changing jobs?… Why not admit that you need to downsize and move into a retirement community?” (p. 11-12). She also discusses bad reasons for going to college, such as going because your parents want you to or you think everyone else does, or going to figure out what you want to do. (P. 13) She gives many ideas on things to discuss and way to approach these topics. At first, I wished Carol had written a study guide to accompany Why Freshmen Fail. But I think reading the chapters and using questions and topics in them gives you a better foundation for raising these topics with your teens. Since the chapters are short, that should be easy for you and your teens. Some of those eight reasons freshmen fail surprised me at first. For instance, I knew that the senior year of high school is exhausting, but I never thought of that exhaustion as a reason freshmen fail. But Carol has seen it happen. Many of the reasons she discusses are problems that our children with learning challenges are especially prone to, like difficulty with structuring and managing time and work. That makes this book especially useful for parents of students who learn differently. Dr. Reynolds doesn’t just warn us about problems to avoid. She gives simple, practical suggestions on how to succeed. Many of these surprised me. For instance, she stressed how to behave in class and how to relate to the professors. I wish I’d read this before I went to college. She explains several faux pas that students should beware of. Much of what she recommends for relating to a professor would apply equally to relating to a supervisor. I particularly liked her chapter on the two questions never to ask a professor. After warnings and tips, Dr. Reynolds concludes the book with two chapters. 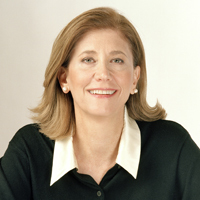 In the first, she first urges students to enjoy the benefits of college life. Next, she urges students and parents to consider if college is best for this student, and if it’s best for this student now. Without thinking, many people assume a student should go straight to college, but Dr. Reynolds challenges this assumption. A gap year–that is, a year between high school and college–can give our kids time to mature. In our first year of homeschooling, I had hired a special education consultant. She asked me if I wanted my son to go to college first and live at home. Or, she asked, did I want him to learn independent living skills in an apartment before starting college? Since I was still teaching my dyslexic fourth grader to read, I was startled by the question. But she did me a favor by making me think ahead. A gap year can help a student see the value of a university education. My son took a gap year, and I recommend that families consider it. Dr. Carol Reynolds is a delightful, informative and encouraging speaker. Since retiring after a career teaching music history at Southern Methodist University, she has been speaking at homeschool conventions and leading tours abroad. She is the author of homeschool multimedia courses Discovering Music: 300 Years of Interaction in Western Music, Arts, History, and Culture and Exploring America’s Musical Heritage. I’m honored to count Carol a friend. When I heard about this book and expressed interest, she gave me a copy. But she didn’t solicit this review. I recommend the book not because she is a friend, nor because I got a free copy. I recommend Why Freshmen Fail because it shows clearly many of the problems our struggling learners — and all college students — need to prepare for, and offers tool she to help them thrive. What resources help you prepare your teen for the responsibilities and relationships that will help them succeed in college? Please answer in the comments below. Why Freshman Fail and How to Avoid It! by Carol Reynolds, Ph.D.
55% of freshmen graduate within six years reported in Slate.com. This series on helping college students began here. 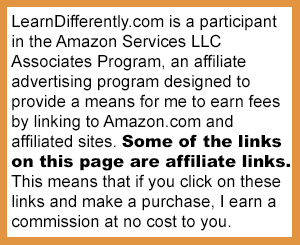 It concludes with my review of Henry B. Reiff, Ph.D.’s book Self-Advocacy Skills for Students with Learning Disabilities.